Visual exterminators - Extertronic, S.L. Visual exterminators There are 23 products. Adhesives shadows of birds to prevent birds from colliding in the windows. They are placed on the glass like a sticker, without any effort. 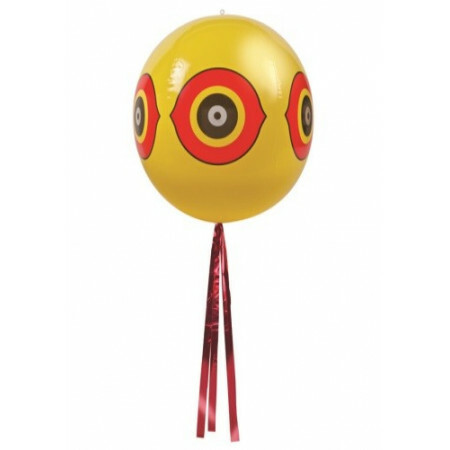 Scarecrow inflatable balloon-shaped, powered by wind. With reflective eyes and serpentine tail to scare away the birds. 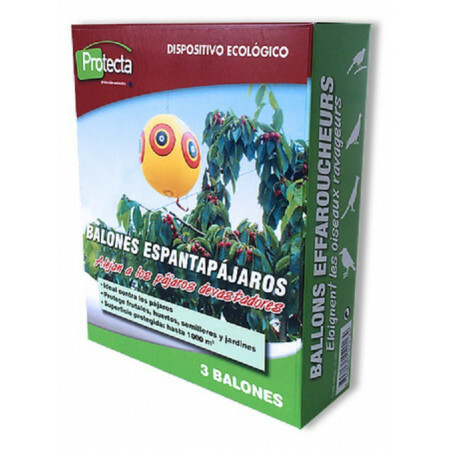 Ideal for protecting crops and plants. Insurance wild animals and pets. 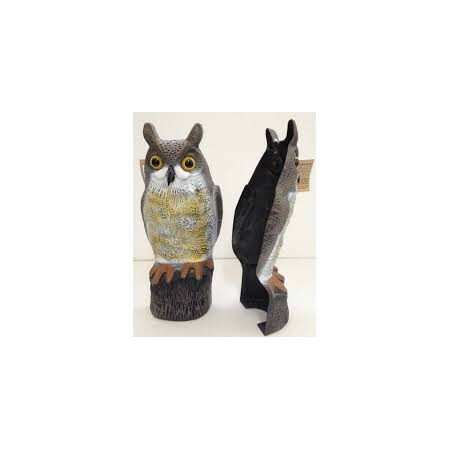 Deters birds for owl, placing in gardens, windows, ledges, balconies or where birds usually perch. Potects fruit and vegetables gardens from bird damange. Also are uses by its beautiful design as part of decoration, while frightening to the birds, by their great resemblance to a real hawk. Thin sheets of aluminum special noises with a slight wind. 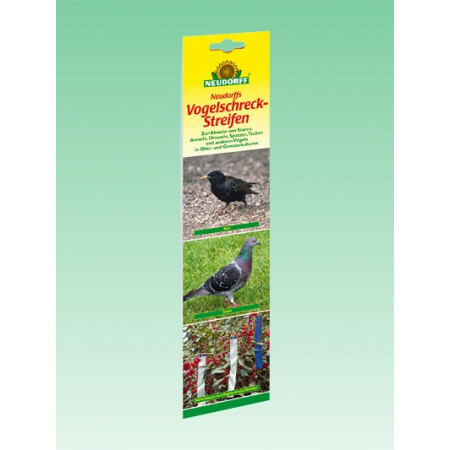 Protection against blackbirds, sparrows, pigeons, starlings, thrushes real, etc. 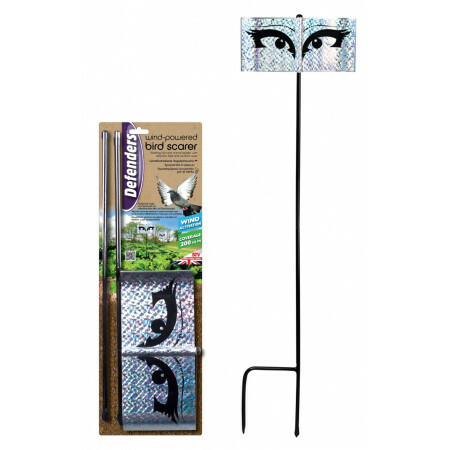 Protect gardens, crops and property from wild bird damage using the rotary, wind-powered Bird Scarer. 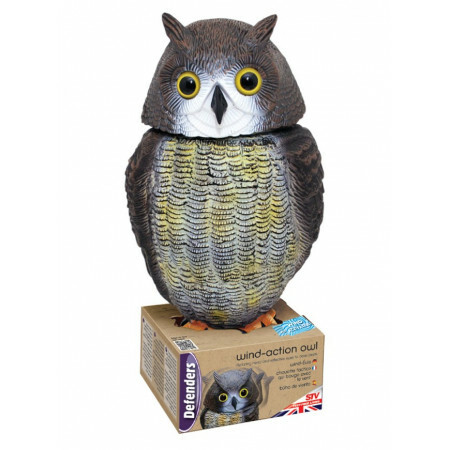 The bird Scared combines continuous movement with a reflective flash and predactor eyes to deliver a silent deterrent effect. 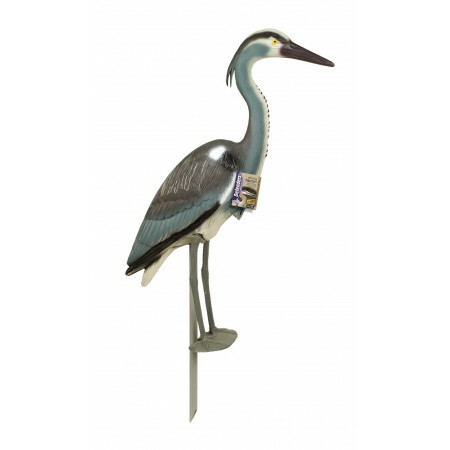 Deters birds of reservoirs in the shape of real, great heron seemed to the royal herons, eliminates the problem of the birds in gardens with zones of reservoirs or swimming pools with fish. Also it is possible to use for her nice design as part of the decoration, simultaneously that he frightens to the birds, for his great one seemed with a royal heron. 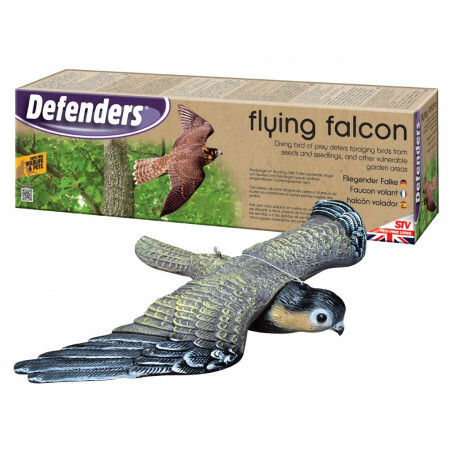 Deters birds for falcon, placing in gardens, windows, ledges, balconies or where birds usually perch. Potects fruit and vegetables gardens from bird damange. Also are uses by its beautiful design as part of decoration, while frightening to the birds, by their great resemblance to a real hawk. 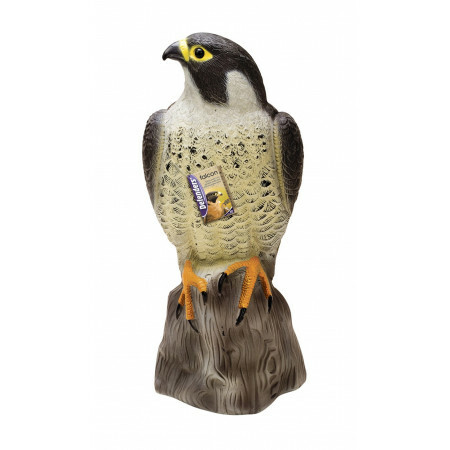 Repeller flying falcon for birds, placing in gardens, windows, ledges, balconies or where birds usually perch. Potects fruit and vegetables gardens from bird damange. Also are uses by its beautiful design as part of decoration, while frightening to the birds, by their great resemblance to a real hawk. 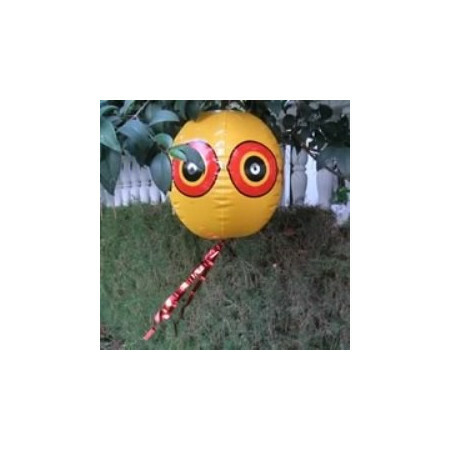 Scarecrow Owl, effectively scatters birds, rodents and other pesky animals from gardens, crops, orchards, etc. It protects naturally, it does not need batteries. Detailed plumage and realistic design, which increases its effectiveness. Pose hunting and glazed eyes, to intimidate. 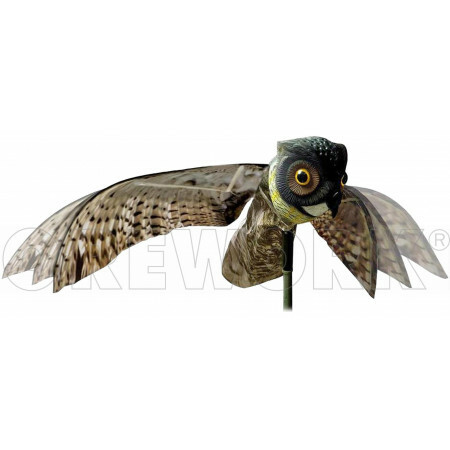 Flexible wings, driven by the wind, with realistic flight movement. Frightening East this one specially indicated for the flocks of birds that they cause troubles, for his design in form spherically and brilliant color. The movement of this ball, joined the serpentines of brilliant color that they hangs, scares to the birds of an immediate form. Owl scarecrow with glowing eyes. 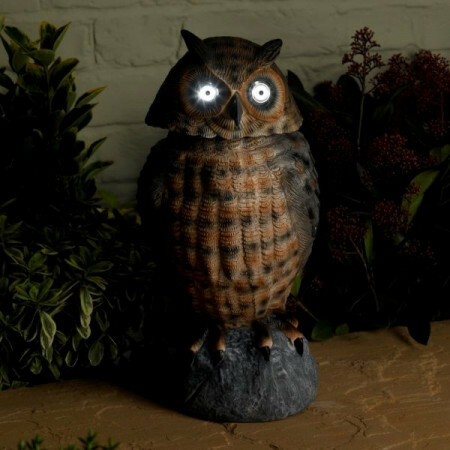 It has an LED in each eye that turns on automatically at night to scare away birds. Is charged via a solar panel placed on the back of the head. Ideal for gardens. 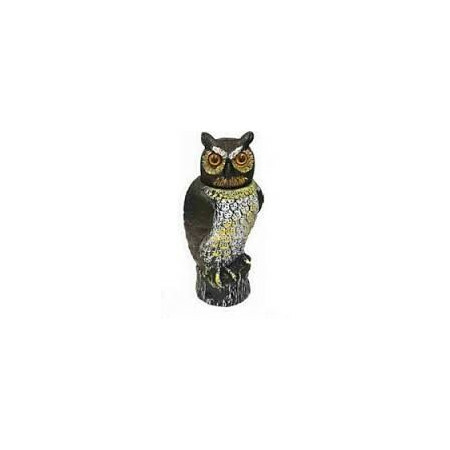 Scarecrow Eolo flashing, ideal for protecting the birds in action: fireplaces, air conditioners, industrial machinery, etc., avoiding premature aging and serious damage. 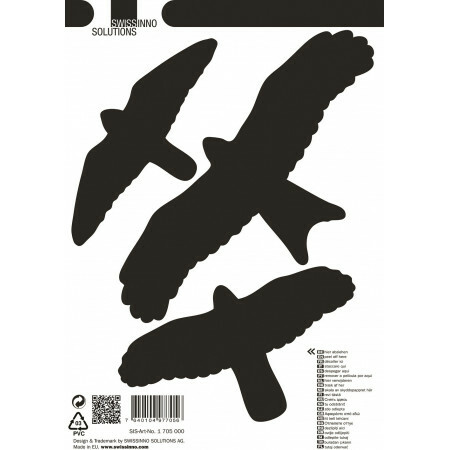 Ecological repellent and respectful of birds and the environment. 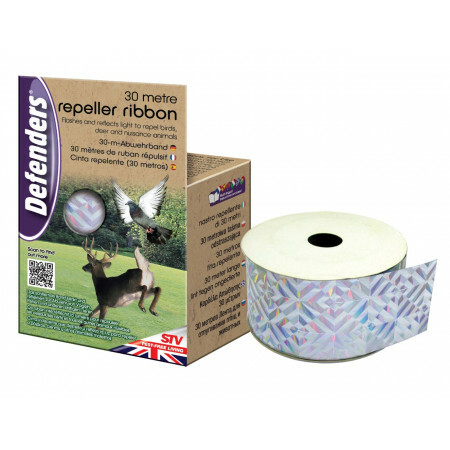 Effective for pigeons, seagulls, swallows, starlings, crows, magpies, jackdaws and cormorants.Its format is gel discs, the ultraviolet light when crossing the gel produces an effect similar to the flames of fire, causing the birds to get scared.BOX OF 15 UND. 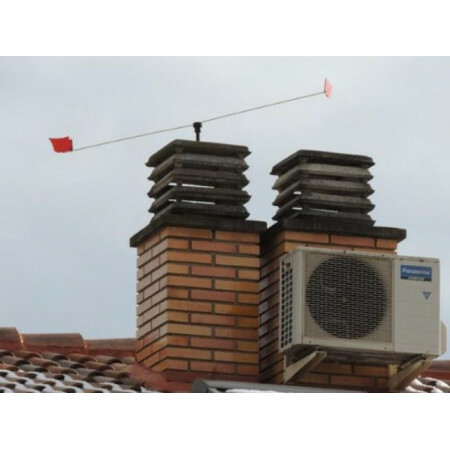 With flashing antenna Eolo will prevent birds from using them as innkeeper, preventing dirty with their droppings: terraces, roofs, clothes lines, tents, etc., or even interfere with the signal from the antenna causing interference on your TV.